Sophie Brady, wife to Ollie and mum to Freddie, is a force of nature. She's one of those women who makes motherhood seem effortless, and she is the mum who is always smartly dressed and has it all together. When Sophie gets hit by a bus and dies tragically (wearing embarrassing underwear to add insult to injury!) she finds herself looking after her husband and son from the afterlife. Sadly, Ollie has no idea how to parent alone or how to pick up the pieces but Sophie is determined to make sure that her husband finds happiness again. Luckily Sophie's best friend Jenny is also looking out for Ollie and Freddie. As Jenny delves deeper into her friends' past she finds herself discovering secrets about Sophie that could change how she feels about her vivacious friend. Will Jenny be able to forgive her friend even though she has passed away or will her discoveries change Jenny's memories of Sophie permanently? I had a hard time putting Afterwife down. It was beautifully written and it somehow managed to be funny despite the sad subject matter. It wasn't all laughs, there were some heartbreaking scenes as Freddie and Ollie come to terms with Sophie's death, but the book was beautifully balanced. There was just enough sadness to suit the subject matter and just enough humour to keep things light and enjoyable. I loved all of the characters, especially Jenny who feels like a fish out of water in suburbia but endures it anyways in order to look after her late friends' family. Jenny reminded me of my own best girlfriends, who would absolutely do anything that they could for me and I would do the same in return. 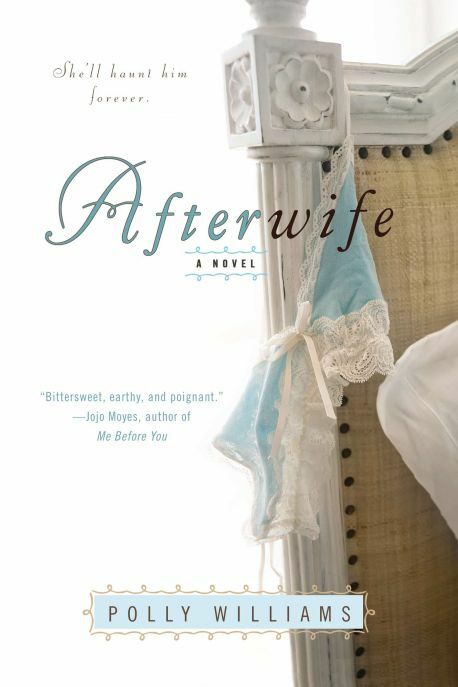 Afterwife would make a fantastic book club choice. Author Polly Williams covers several themes in the book such as grief, death, friendship, outward appearances versus reality and more. I enjoyed this book and it's delicate balance between the celebration of life and mourning those whom we have lost so much that I immediately added her previous titles to my wish list. My thanks to the publisher for providing me with a review copy of this book!